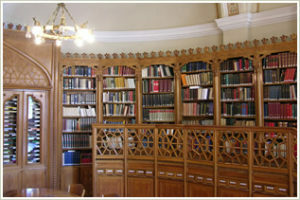 The library of the Hungarian Academy of Sciences (from its website). We extend our sincerest thanks in advance for your support, and we trust that our common commitment to academic freedom will prevail. What is happening to academic research in Hungary? What follows is drawn from the website of the Hungarian Academy Staff Forum (HASF; ADF in Hungarian), a civil initiative of the researchers from the research institute network at the Hungarian Academy of Sciences (HAS). The Hungarian government is introducing a new system of research financing, in a way which in itself contradicts the appropriate manners of policy making, and which, after implementation, will have disastrous effects on the autonomy of scientific research and scholarship in the entire country as well as our work and life altogether. Given that our voice has not been heard either in public or during the negotiations between the HAS and the government, this initiative is meant to express our opinions about the situation and the whole process. The Hungarian government is continuing its crackdown on academic freedom. The government first placed all universities in the country under the direct supervision of a chancellor, an administrator appointed directly by the government, and more recently forced Central European University to move most of its programs from Budapest to Vienna. Now, the Hungarian Academy of Sciences is subject to a structural reorganization by the government which will lead to the complete loss of academic independence for the Academy specifically and for scholarship in Hungary in general. Before the elections in April 2018, government officials made clear in statements published in several right-wing media outlets that the government would intensify efforts to put the research institutes of the Hungarian Academy of Sciences (HAS) under government control because these institutes had not been unquestioning in their loyalty to the government. What is the Hungarian Academy of Sciences and why does it matter? The Hungarian Academy of Sciences was founded in 1825 to promote scientific research in Hungary. It was created and maintained with the support of private benefactors. It has since become a national symbol of scientific endeavour and a major centre of cultural life in Hungary. After the First World War, HAS suffered from a major lack of funds, but its autonomy was strengthened and successfully maintained until the last years of the Second World War. Towards the end of the war, purges of the members of the Academy were held by successive regimes (the nationalist-conservative Horthy regime, the Arrow Cross regime which rose to power with the help of the Nazis, a short-lived democratic regime, and the communist regime under Mátyás Rákosi), and by 1948 the Academy had become a typical Soviet-type institution and an organ of the communist state. Ironically, in the darkest years of the 1950s, an important new element was added to the Academy: the network of research institutes. This network had domestic antecedents, but fundamentally it was based on the Soviet academic world. After the post-communist democratic transition in 1990, the Academy successfully struggled to retain the values embodied by the various academic institutions, while adapting them to the challenges of the technological revolution. A comprehensive reform of the research network was implemented in 2011–12 by President József Pálinkás, a scholar and former conservative minister of education and research who centralized the smaller institutions into fifteen research centres. The reform introduced a new system according to which scientific performance was evaluated and increased the role of tender-based financing, but it continued to respect the special demands of various disciplines, from the natural to the social sciences and the humanities. Until 2018, academic freedom was guaranteed by the autonomy of the Academy, which was grounded on two pillars affirmed by Law No. XL/1994. First, the Academy was led by a self-governing body of distinguished researchers who played an important role in managing the research centre network and supervising its work. Second, funding was negotiated on non-partisan grounds every year. In June 2018, László Palkovics, the newly appointed Minister of the newly created Ministry for Innovation and Technology and himself a member of HAS, who enjoyed the strong support of Prime Minister Viktor Orbán, proposed a seemingly tiny technical amendment to the 2019 budget laws to reallocate the annual financial support for the academic research centre network from the Hungarian Academy of Sciences to the new ministry. The real goal of this move was unmistakable. It was intended to deprive the Academy of its position as custodian of the largest network of research institutions in Hungary. Furthermore, it strengthens the position of the new minister as the de facto arbiter over the direction of scholarship and academic research in Hungary in general and, more narrowly, the specific topics covered in some fields of the sciences. The minister left the president of the Academy only 54 minutes to comment on the proposal, which the president of the Academy received by email, and the bill was passed within a few days. In autumn 2018, several meetings took place between Minister Palkovics and the leadership of HAS driven by the Academy’s hope for an acceptable compromise. Events took a dramatic turn after the extraordinary meeting of the General Assembly of HAS in December 2018, when an overwhelming majority rejected the reform plans and expressed support for HAS President László Lovász and the Presidium. Although the Academy had previously agreed to establish fast-track evaluation commissions to assess the scientific performance of the HAS research network by March 31, 2019, it soon became clear that reorganization plans would not take this into account. In mid-January 2019, Minister Palkovics sidestepped President Lovász and met directly with the heads of the Academy’s research institutes to “request” their cooperation in making Hungary’s research and innovation system more “efficient,” i.e. to put it under more direct government control. Following the model of the reorganization of the Russian Academy of Sciences in 2013–14, the fundamental goal of Palkovics’ manoeuvrer against the HAS President was to reduce HAS to an innocuous “academic club” of mostly retired members. The most valuable asset of HAS, its network of research centres with approx. 5,000 active staff members at an average age of 41, would either be transferred to universities and state-controlled research centres or simply eliminated. Entire institutions – mostly in the human and social sciences – would be labelled “unproductive” and dismantled. On January 31, 2019, the National Office for Research, Development, and Innovation, which is controlled by the Ministry for Innovation and Technology, launched a so-called “program of excellence.” According to this new model, research centres must apply for their entire budget by submitting tenders which are assessed according to unclear evaluation principles, allowing for arbitrary, politically motivated decisions. This system replaces the old model of normative financing of the research centre network based on the legally affirmed managerial autonomy of the Academy. HAS President Lovász and the directors of the research centres face the dilemma of whether to apply for short-term financial support within this new scheme (January 1–December 31, 2019). To do so would mean acknowledging and accepting the end of the post-1989 history of the Academy as a free and autonomous public body and the supervising body of Hungary’s largest scientific research infrastructure. If the Directors choose to comply with the dictate in order to save their employees and projects which are currently underway, they 1) give their support to a move which has been recognized by the legal staff of HAS as “illegal” and “unconstitutional”; and 2) formally defect from their legal employer – the President of HAS. This split would mean the first step toward highly centralized, government-controlled research focused essentially on aims which are considered priorities by the government. If the Directors choose to resist this attempt by the government to assert its control over scholarship and research in Hungary, they jeopardize the livelihoods of thousands of employees. On February 12, 2019 the Presidium of HAS will hold a meeting which promises to be one of its most crucial gatherings in recent decades. Whatever decision is reached, the effects on the Hungarian academic community will be disruptive. If the government is allowed to dismantle the research network of the Academy by force, which seems to be its intention, Hungary will become the first member state of the European Union to reject, explicitly and unmistakably, the fundamental principle of the independence of scholarly research from political interest.